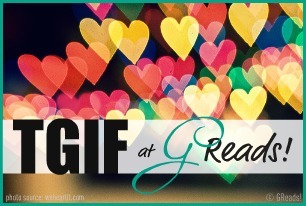 TGIF is a weekly meme hosted by Ginger at GReadsBooks! And this week's question is... Books to Television: Which books would you love to see made in to a TV series? or movie? Ooooh, nice! I'm going to do two different genres, fantasy and contemporary. Let's start with fantasy. One of the best books I've read in quite some time is Daughter of Smoke and Bone by Laini Taylor. If this book was made into a movie, it would somehow be a mix of Lord of the Rings and Romeo and Juliet. They would have to find a phenomenal director because the graphics and stunts, costumes and characters would have to be perfect in order to truly capture this book. Plus, check out the awesome third trailer to the book. Can't you picture it as a movie trailer?! The Brimstone one is my favorite thus far, but still. EEP! If you can't tell by now, I love this book like whoa. 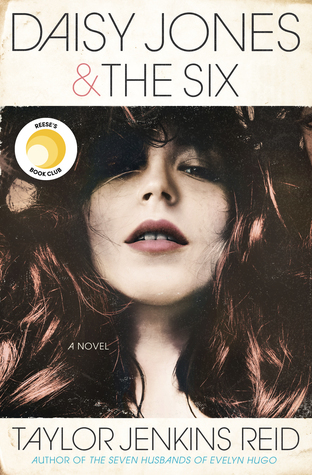 And my contemporary pick would be Lola and the Boy Next Door by Stephanie Perkins. I don't care if they turned it into some ABC Family Movie of the Week. As long as they cast the perfect Cricket, we're square. I could easily crush on a real life Cricket. This book is so easy to fall in love with, as would the movie. Can I be an extra in it, please? That's all I have for now! I hope your Friday is flying by quickly, and you guys have a safe, fabulous weekend! I agree that Stephanie Perkins' books would make great T.V. I haven't read Lola yet, but I loved Anna. Laini Taylor's writing is amazing too. Great picks! Oh, we would totally watch those! I'm getting a copy of Daughter of Smoke and Bone soon & can't wait to read it since I've heard such great things about it! Also, YES to Lola! I love Cynthia's casting choice, too... Zoey Deschanel! I haven't read The Daughter of Smoke & Bone yet, but judging by the trailers, I have to agree that it would make a great movie! Haven't read The Daughter of Smoke and Bone but from the way you're all raving about it I can see why you would pick it. I haven't read any of these books yet! I really want to and I am sure that they would make great TV shows!! If only we could choose the next book to make into a TV show!